Our organization is one of the trusted business names in the market engaged in offering optimum quality range of Bronze Filled PTFE Product. These are manufactured at par with the set industry norms using quality tested raw material. At our premises all the products are developed by our trained and skilled team of professionals as per the details provided by our clients. Besides, in order to attain maximum client satisfaction, we offer them at industry leading rates. Enriched with vast industrial experience, we are involved in manufacturing and supplying a wide range of Bronze Filled PTFE. Our products are manufactured using optimum quality raw materials which are sourced from reliable vendors of the market. Some of the salient features of our devices which make these highly durable and efficient are robustness, rugged construction and longer functional life. Bronze Filled PTFE Bush offered by us is available in all PTFE specific size and thickness as well as in customized designs. This range is widely acclaimed for its excellent quality, fine finish and outstanding performance. 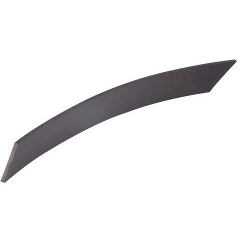 Manufactured using best grade material, this range is designed in tandem with leading standards of the industry. Different industries demand our product range for distinct applications. is available with us at very reasonable rates. Available with us is a comprehensive range of Bronze Filled PTFE Packing. Manufactured at par with the international quality standards, the range we offer is durable and has application specific design. Our entire range is tested on well-defined parameters by our quality auditors to ensure that the range we offer is flawless. These packings are durable and easy to use. 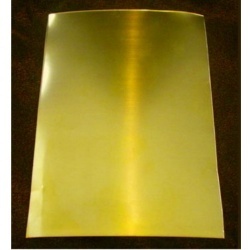 We are involved in offering a wide range of Bronze Filled PTFE Dimple Sheet. These sheets are durable and smooth. The use of quality tested raw material in the manufacturing ensures that the end product is at par with the set industry norms. Our range is available in various specifications like sizes, grades and design, meeting the demands industries across the nation. 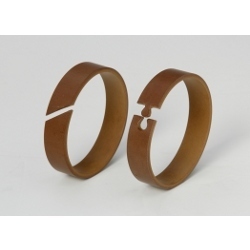 Our organization holds expertise in offering a wide range of Bronze Filled PTFE Guide Bearing. These bearings are dimensionally accurate since these are manufactured by our experienced team. The range we offer is widely used across various industries for its unmatched quality. Our team of quality auditors ensure to test the raw material as well as the final product to make sure international quality standard of the product. Our range can be availed in bulk quantity as per the need. With the support and assistance of our professionals, we are involved in offering a comprehensive range of Bronze Filled PTFE Bridge Bearing Pad. At our advanced manufacturing unit, all the products are developed using high grade bronze, sourced from reliable vendors of the market. In order to meet the specific demands of our clients, these products are offered in various grades and sizes. 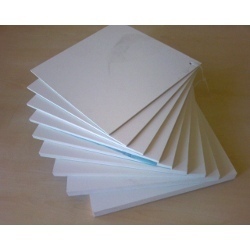 Our range can be availed at reasonable rates in bulk quantity. Our organization is one of the reliable names in the market engaged in offering optimum quality range of Bronze Filled PTFE Hydraulic Seals. 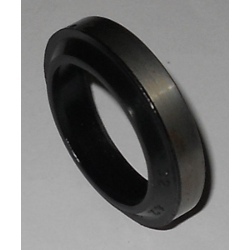 These seals are used across various industries for its dimensional accuracy and durable make. Our experienced professionals design these seals in various application specific designs and sizes to suit the demands of our clients. Being rigorous tested at our laboratory, we assure to offer only defect-free range to our nationwide clients. Avail from us a comprehensive range of Bronze Filled PTFE Strips that is designed in tandem with prevailing industry standards and in sync with the needs and requirements of our clients. This range comes in 1500 mm diameter as well as all PTFE specific size and thickness. Our products are widely valued for their excellent quality and longer service life. This range is used in different industries for critical applications. Given below are some remarkable features that make our products stand out among the rest. Our organization has earned laurels in the domain of manufacturing and supplying of an impeccable range of Bronze Filled PTFE Sheets. 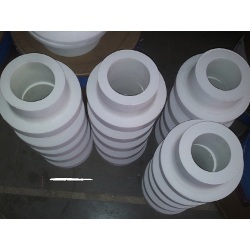 This range is widely demanded across several industry verticals and is available in sizes of 1500 mm diameter as well as all PTFE specific size and thickness. We procure finest quality material from trusted vendors and process it using latest machinery and tools. Available as per customer specification and drawing, this range is offered at market leading prices with us. Avail from us Bronze Filled PTFE Rod that is available in up to 1500 mm diameter including all PTFE specific size and thickness. This range is acclaimed for being durable, fine in finish and brilliant performance. Our clients can demand this range at market leading prices from us that too in customized designs and lengths. We procure the finest quality material and use latest production techniques to design this particular range. Our clients can avail this range within the committed time frame from us.